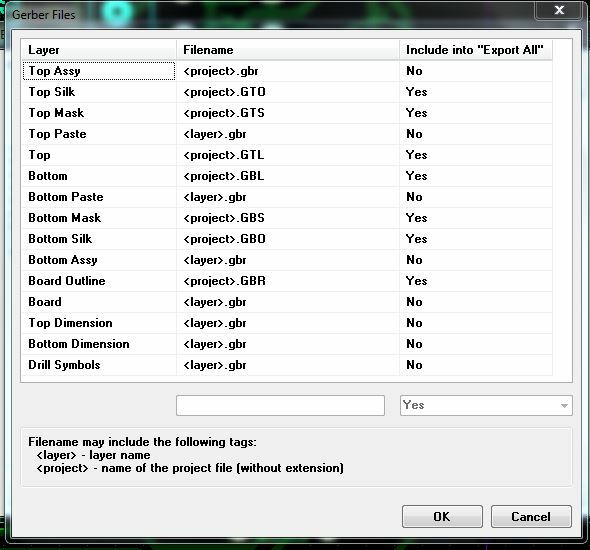 Is there an option to export all the various layers required by the manufacturer into one completer zip file? 3. name it , save it and keep saving it till the last layer. 4. Export NC drill file. 5. Go to the saved location, zip all the exported files. 6. finally mail the zipped file to the manufacturer. so the question, does DIPTRACE have a Export all option that Exports all the files in a zipped format to a specific folder? For the nc/drill have you tried just re-naming the file? The content of the file is text. Pcbway accept the file as it is. I just do gerber export and select export all, then the nc drill. I'm not sure what they are asking for with mechanical layer. Thanks! I'll try to rename it. Just pic a destination and Assy layers and export two layers to single file. Do this for all layer.